I burried myself in work for a couple of days just in order to not go crazy over waiting for the Mr Simple release by Super Junior on Tuesday. But where is the teaser? I want to see it now and since the single release itself is just a couple of days away it should be out by now? AHHH. So, I will try to survive waiting yet another day. Only thirteen. (plus two minus two or three) Super Junior love remains the same. 5th album teasers. Finally! After a long wait since the first hint, it is time for Super Junior to make their comeback with 5th album on the 3rd of August. So thrilled! A couple of days ago SME started the release of individual teaser photos of the members, as seen in this post. 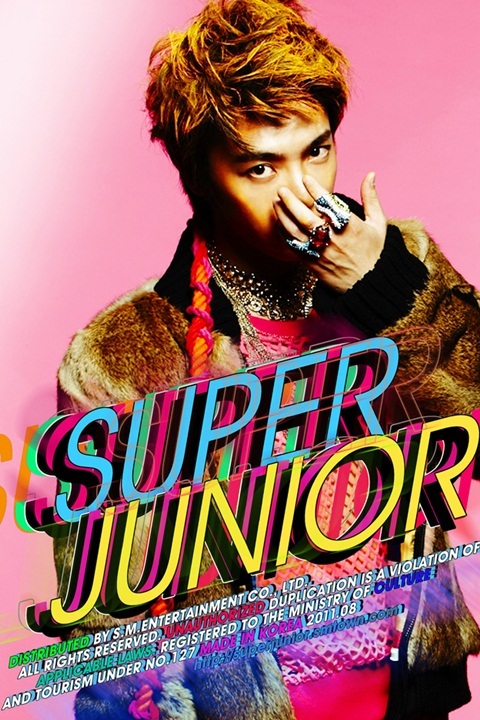 Personally I really like the photos of Eunhyuk and Leeteuk, and the photo of Donghae is ok. The concept feels new and not a copy of someone elses, but it is in true SME-style. This is the second time I follow a Super Junior comeback from the start. When I fell down and in love with kpop it was through Sorry Sorry, a song and MV that just started it’s victorious journey through Asia and also the rest of the world, so I missed out on the comeback preparations. Last year I followed the preparations for Bonamana closely and with big nervousity, who would their comeback be? Could anything be as great as Sorry Sorry? Ever? My love for Super Junior contains a part of embarassment since this group is not by far the coolest gang in the world, quite the contrary. But they are fascinating in their acting, acitivities and they know how to make a hit. Also, they are quite close to me in age and through this I feel linked, we are men in our (for some of us late) twenties and that probably gives us shared feelings in some aspects You reach a certain age and you start to think about life in an other way. Leeteuk and Heechul are not more then a year younger then me. I did not follow Super Junior from the start, but I’m also a fan of the older releases and see myself as a fan of the groups entire activities. So I miss Hangeng, know he wont be there this time either and I’m looking forward to his next chinese album, but Kibum? Could he be there with the rest? 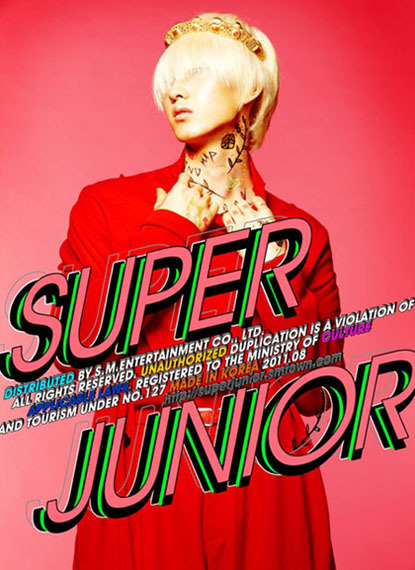 Or perhaps Henry and Zhoumi as a part of the main group, would the comapny dare? So many questions unanswered and I’m once again lost in a great love of fandom and Super Junior. At the moment I’m sitting on a train bound for the country-side region of Sweden, north of Stockholm where I grew up. I will be away from Stockholm for at least three weeks and not have a constant internet access, I have to take the chance writing and posting now. I go up here quite often and usually it is a very much needed break from everything, this time as well. Behind me lies my glorious birthday celebration in Stockholm and also, even more importantly, ten days of South Korea and Seoul. I tried to write and post while being there, but did not know what to write. Just to much going through my head and too many things that I wanted to do instead. I visited friends who have spent close to three months in Seoul and had the advantage of them showing me around which also made the trip even more intence. What have I seen? Well, everything and nothing, to give you all a complete list is not my intention. I’ve seen idols performing at music programs, climbed the Namnsan Tower Hill, eaten food and been to Paris Baguette. It has been like taking part of a movie but extremely real. In a couple of posts I will try to give some thoughts from my trip and to explain what this experience felt like for me, my thoughts being more important then any places. For almost two years I have longed to go there, to visit places that occupy my mind most of the time, even though they are on the other side of the world and I know so little of them. Now I have, and it has not been one moment of disappointment. It has been a while since posting, but not because I’m getting tired of writing, just because of me being tired over all. The picture shows my very own padlock at Namsan Tower, with a hint of Key and Dancing On Our Own added to it. In many ways the things most important to me during this trip. You are currently viewing the archives for July, 2011 at The Future is Idol.